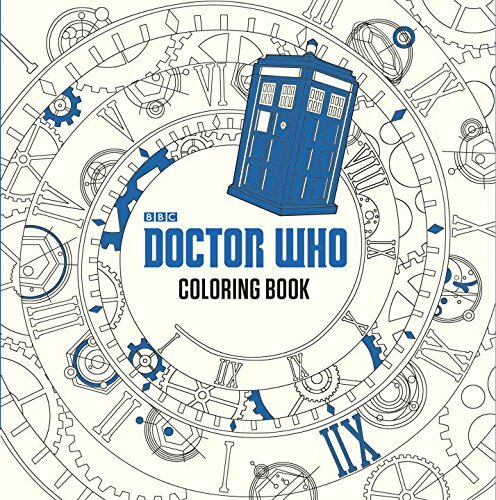 Doctor Who fans are in for a treat with this big fat Sci-Fi adult coloring book. There are 96 fabulous illustrations just crying out for your gel pens and coloring pencils. 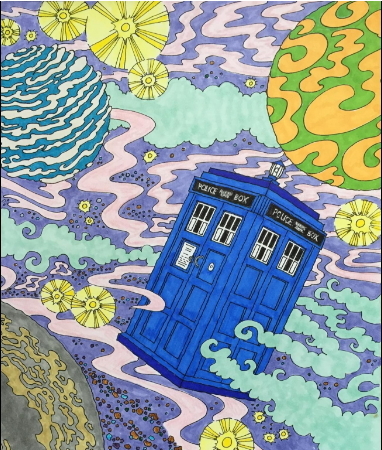 Explore the galaxies and embark on a delightful adventure with the Doctor, a multitude of villains and nemeses, the TARDIS and the time vortex. 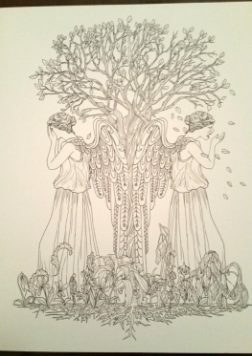 The drawings are intricate and creative. I especially like the silhouettes of the various doctors, which are filled with iconic scenes and characters. The reverse side of each page sports a thumbnail image and a corresponding quote. I love that the illustration style, as well as the theme, is a little more hard-edged - or scientific, if you will. 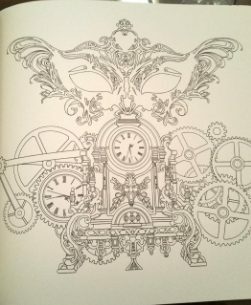 It fits the subject matter and is a nice change from all those familiar swirls and paisleys that fill most coloring books for grownups. The book is well made. It boasts high quality, smooth off-white paper in a 10" x 10"format. 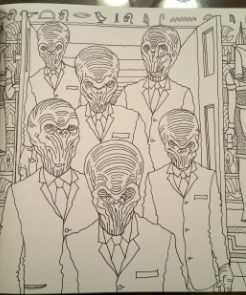 Drawings are printed on one side only (as they should be!). The binding is sewn, rather than glued; you can "break"the binding to work on the pages while leaving the book intact and without losing pages as can happen with a cheaper, glued binding. If you want to remove the pages, you'll need to cut them out, as they are not perforated. Some people like to disassemble the binding by snipping the threads that hold it together. The cover is also beautifully engaging with the TARDIS illustrated with metallic blue ink. 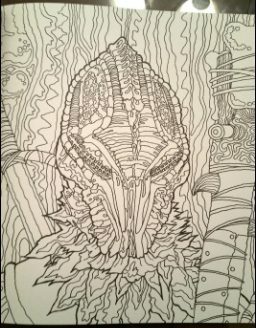 It's a great coloring book and sure to give satisfation to Dr. Who fans - makes a wonderful gift, too!